"We are what we repeatedly do. Excellence, then, is not a act, but a habit." 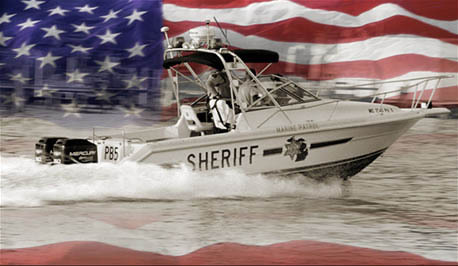 Welcome to the St. Clair County Sheriff's Marine Patrol Web site. This site has been designed to acquaint you with our Marine Patrol and the services available to the boating community in the county. We are the division within the Sheriff's Department charged with the responsibility of upholding the laws and providing public safety on the waterways and adjacent shoreline areas of St. Clair County, Michigan. Our mission is to protect and serve the people using the waterways of St. Clair County and to provide a safer boating environment through Education, Enforcement Environmental Protection, Emergency Response and Port/Border Security.